Girls' Brigade Europe has published an updated 2017 edition of its Additional Needs resource and it is free for you to download. 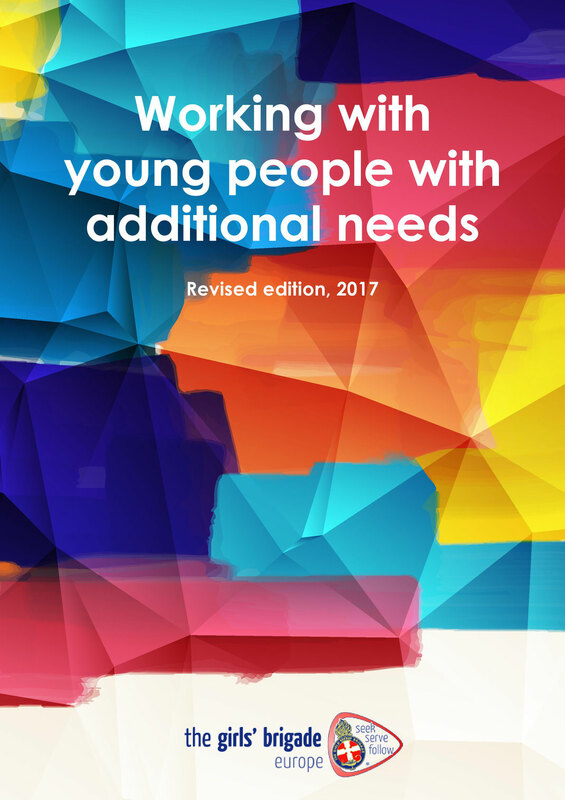 This new revised edition also includes new topics like mental health, new sections on how to engage young people with faith and ideas of inclusive games and sports. GB Europe would like to thank everyone who contributed to creating and updating this GB Europe Additional Needs resource, in particular, The Big House Ireland (www.thebighouse.org.uk). Thank you for all that you do each week to help girls and young women to seek, serve and follow Christ.